Bill was a FourFront client…now he’s on our team! As co-owner of VCI Mobility, Bill was one of FourFront’s early clients. Having worked with several other SEO firms, Bill instantly recognized the unique benefits of the FourFront approach and proprietary technology. Over the next few years, VCI Mobility was able to leverage FourFront’s insights and direction to transform its website into a highly effective digital marketing platform. The website became a true competitive advantage. 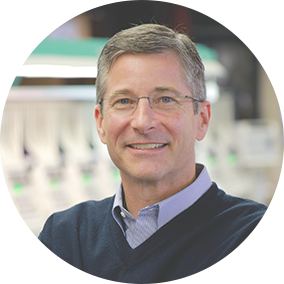 Bill has over 25 years of diverse experience as a business owner, leader, and manager in various industries including IT systems and services, automotive manufacturing and sales, and commercial construction. Throughout his career, Bill has played a hands-on role in implementing effective sales and marketing programs including building multiple websites. This combination of experiences allows Bill to truly understand our clients’ needs and challenges and to work with the FourFront team to develop comprehensive solutions that drive results.